Mauricio Pochettino has again taken a moment to provide reporters with a further mystery regarding his own situation at Tottenham manager, insisting that you never know what happens in football. 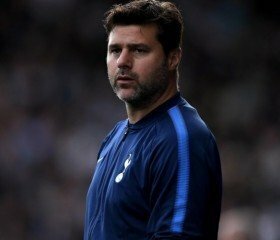 Poch has recently been linked with moves to both Real Madrid and Man Utd, but recent newly appointed managers at those clubs seem to tie the Argentine to the White Hart Lane outfit for the foreseeable future. Tottenham manager Mauricio Pochettino has joked that it feels like Spurs have been "banned" from making new signings, such as the situation at White Hart Lane. The club, who are shortly moving in to their new stadium, have been quiet on the transfer market in recent years and this summer will be likely the same as Spurs seek to pay off the debts incurred for the impending stadium switch. Everton are reportedly leading the race to pursue Kieran Trippier from Tottenham Hotspur during this summer's transfer window. Serie A holders Juventus have reportedly joined the race to sign Christian Eriksen from Tottenham Hotspur in the summer. Tottenham Hotspur could be prepared to make an attempt to sign Gareth Bale on a season-long loan from Real Madrid when the transfer window reopens. Tottenham Hotspur manager Mauricio Pochettino has dropped a double injury boost ahead of the Champions League clash against Borussia Dormund on Tuesday. Tottenham Hotspur are reportedly prepared to compete with the likes of Chelsea and Arsenal in the race to sign Franck Kessie at the end of the season. Arsenal could miss out on the signing of Ivan Perisic in the summer with the Inter Milan ace said to favour a move to arch-rivals Tottenham Hotspur.